I recently purchased a new computer and needed to transfer files from the old computer to the new one. Tried a USB drive, no luck. Tried copying files over the network via the macOS Finder, but the sheer number of files (~500,000) made this an exercise in futility. I started a new job in October and bought a 2018 MacBook Pro to celebrate. Purchased the 13" Touchbar with (mostly) maxed out components: 2.7GHz i7, 16GB RAM, and 1TB SSD. It's a huge step up from my late-2013 model; ~6x according to Moore's Law. Bandit is a static analysis tool that can find common security issues in Python code. The command line utility scans .py files and generates a report detailing issues by confidence and severity. In July, I released my first open source project. It's an apispec plugin that generates OpenAPI Specification (aka Swagger docs) for Falcon web applications. A couple of weeks ago, I stumbled across the Python Sorting HOW TO. Learned that Python can sort objects by multiple attributes using operator.attrgetter and operator.itemgetter. In this Quick Hit, I will show the Pythonic way of sorting objects by multiple attributes. Note: This example is leveraging Python 3.7 dataclasses for convenience. Objects can be of any type. Earlier this week, I went through the fantastic PyCon 2018 tutorial, Building a Search Engine with Python + Elasticsearch. This required me to have a local installation of Elasticsearch and Kibana. Local installation? Time to spin up Docker, more specifically, Docker Compose. Python 3.7 was released a few weeks back. Lots of new features in this minor release: data classes, new breakpoint keyword, dicts preserving insertion order, amongst others. Everything in life that's worth having requires effort. In tech, it also requires convincing somebody you are good enough to take a chance on. Being a Software Engineer isn't just about being effective in a specific programming language, it's about being able to solve any given problem using the tools at hand. A Python 3.6 feature that has flown under the radar is the revamped email package. In this post we will explore email and walk through an example of creating and sending an email using the Python Standard Library. 2017 will forever be etched in our memories as the year Python overtook R to become the leading language for Data Science. There are many factors that play into this: Python's simple syntax, the fantastic PyData ecosystem, and of course buy-in from Python's BDFL. PEP 465 introduced the @ infix operator that is designated to be used for matrix multiplication. The acceptance and implementation of this proposal in Python 3.5 was a signal to the scientific community that Python is taking its role as a numerical computation language very seriously. Testing is one of my favourite things about programming. There is nothing like the piece of mind that comes from being able to modify code without having to worry about breaking something. Dynamic typing refers to programs checking variable types at runtime versus compile time. By not having to define the variable type as we write code, we can work faster and take advantage of duck typing. On the other hand, we do miss out on some benefits that types bring. Similiar to how the principles of test-driven development force us to write smaller, more testable functions, thinking about types improves software design by making us cognizant of the values our variables hold as well as the values our functions can return. Here’s to the new year. May she be a damn sight better than the old one, and may we all be home before she’s over. End of year is the perfect time to reflect on the past and to plan for the future. In Python, functions are objects. This means we can return them from other functions. In this Quick Hit, we will use this property of functions to mock out an external API with fake data that can be used to test our internal application logic. In this post, I will describe how to use BSON-NumPy to pull data out of Mongo and into pandas. While this library is still in the prototype stage, it's hard to to ignore the 10x speed improvement that comes from reading BSON documents directly into NumPy. I was floored when I discovered I could use tuples (and namedtuples) as Python dictionary keys. Turns out this is not totally correct. 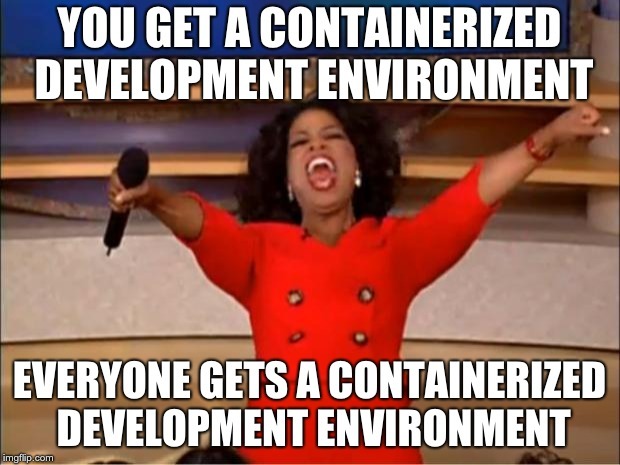 The startup I work for is making a transition into a microservices-based architecture. I'm working with a Senior Engineer to design a new backend platform based off our current monolith. It was an action packed week at work: we migrated our infrastructure to the Google Cloud Platform and into Kubernetes. Pods, nodes, deployments. Oh my! Not that I helped much with the migration; I'm new and still learning the ropes. I started a new job as a Mathematician / Software Engineer at a Chicago-based healthcare startup in October. It's my first proper development job and I could not be more excited. Even though my development folders are well organized, I still have to feel my way around the filesystem when I'm looking for a project directory. It's like trying to find a lightswitch in a dark room: a cd here, an ls there, maybe a find when I'm stuck. ChiPy hosts Python Project Night on the 3rd Thursday of every month. Groups of four are given an hour to work through a structured exercise with each person spending 15 minutes at the keyboard writing code. At the end of the hour, one group is selected to present their solution. I love using the Command Line; it's my favourite part of programming. It wasn't always this way. I used to worry that the commands I entered would destory the delicate equilibrium where everything just worked. Would this be the pip install that ended it all? As part of my degree requirements, I enrolled in Information System Acquisition and Lifecycle with Dr. Ray Robinson (TA: Eric Abbott) for the Summer 2017 quarter. The best way to learn something is to teach someone else. With this in mind, I started creating and presenting technical talks on a variety of subjects: Big Data in Healthcare, Python language features, graph algorithms, etc. I'm taking an Introduction to Tensorflow training class thru Safari this week. We were given a choice of setting up our classroom environment either in Conda or inside of a Docker container. Was reading the Python design FAQs and saw that immutable elements can be used as dictionary keys. Wait a minute.... tuples are immutable, can they be used as dictionary keys? YES! Wouldn't it be great if every website had a free API we could poll to get the data we wanted?